I am so happy to be done with work and off for the weekend! Today I have a super quick post today, featuring just one polish. 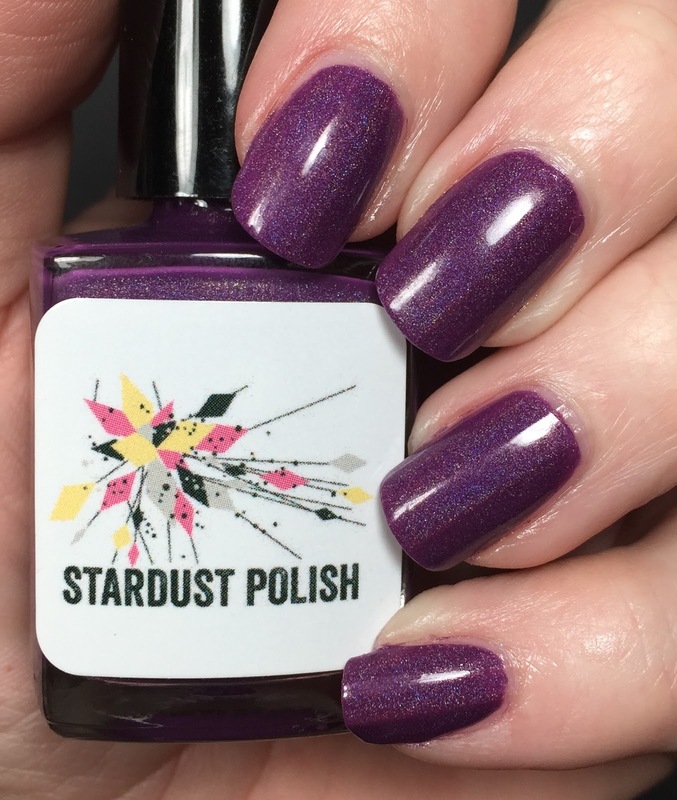 The polish is The Gnome Files and it is from Stardust Polish. This is part of one of the GNOME Boxes that you can buy. 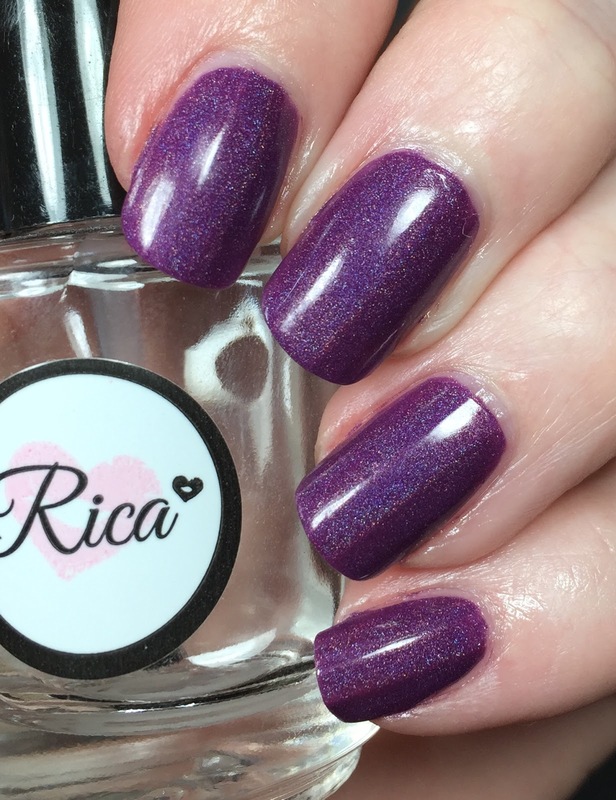 They are collaboration boxes between Rica and Stardust Polish. I have gotten quite a few of these and I am always impressed. I would not hesitate to buy more Stardust Polishes outside of the usual box purchases. 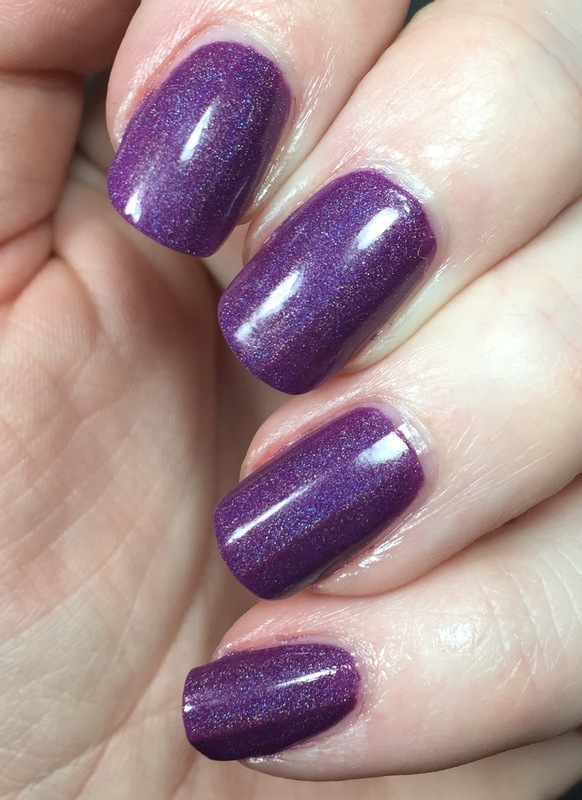 This is the Gnome Files, a deep berry-ish leaning purple holo. I used three coats because it was kinda on the jelly side. No issues with formula and wear time was great. I topped it with Glossy Glam from Rica. I loved this, but you know how I feel about purples!